Ibis Cycles is actually local to us and just over the hill in Santa Cruz, California. Their local proximity to our shop has lead to a close partnership with the brand and a deep love for their bikes. The company as a long history of creating some incredible bikes dating back to 1981. Over the years they have always taken an innovative stance on designing their bikes and consistently designing bikes that simply ride great. They are masters at creating bikes that are not only efficient, but a pure blast to ride. Seriously impressive bikes from a humble brand. When you see a bike from Ibis, there are a few things you can expect to find. The first being how beautiful and refined their frames are. Their use of carbon fiber over the past two decade has lead to simply beautiful frame lines that blurs the lines between form and function. At the heart of most of their bikes, you’ll also find the renowned DW-link suspension platform. This suspension design can be summed as incredibly efficient, incredibly capable, and incredibly fun to ride. Combine this with the methodology behind their geometry, and you get yourself one damn fine bike that time and time again will reward the rider with the best ride they’ve ever had. 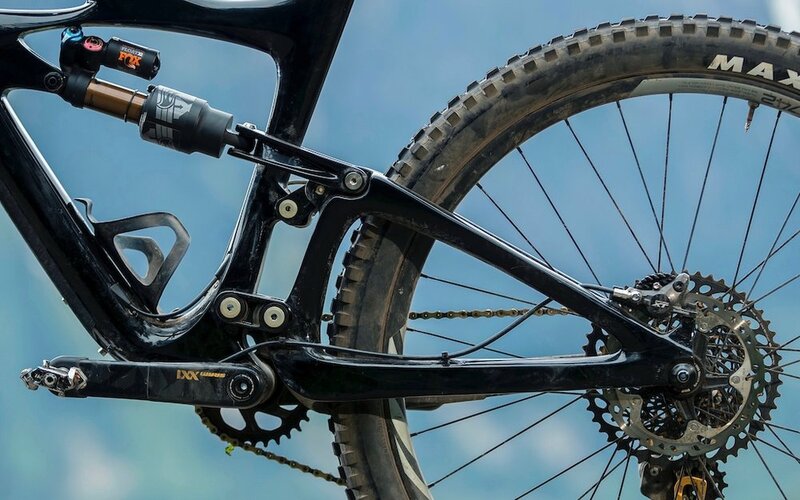 The DW-link is an award winning and highly acclaimed suspension design that sits at the heart of Ibis’ frames. This simple, dual link suspension configuration gives a multitude of benefits and seems to really hit the sweet spot in terms of suspension feel, pedaling efficiency, and bump eating capability. This suspension design has stuck with Ibis since their Re-birth in 2005. Over the past years, they have been constantly refining, updating, and advancing this suspension design to where it is now. It offers a very unique feel and we’re sure you’ll agree as soon as you ride one. You might just fall in love! One of Ibis’ strong suite is their tendency to feel good on nearly every trail you ride them from. From fast and flowy, to super rough and gnarly, their bikes simply feel great. When it’s time to pedal, their bikes reward you with an incredibly efficient feel and spritely manner. The overall balance found in these bikes is something a rider resonates with from the first 50 feet of trail. Since the Ibis is based right here in Santa Cruz, it’s safe to say that these bikes are going to ride exceptionally well on our local trails. Why Do we Carry Ibis Cycles? Besides being a local company, we are a huge fan of how Ibis bikes ride and the people behind the brand. It’s a team of humble folks that simply love cycling and perfecting their craft. That’s something that resonates with us and our shop. When Ibis Cycles was reborn in 2005, Lars was quick to jump on the opportunity of becoming one of the most predominant Ibis dealers in the area. They have been incredibly popular brand for our shop and our local trails, and for good reasoning too! We’ve built a great relationship with Ibis over the years and are proud to be very knowledgable in their bikes and how well they ride. Have any questions? Keen to ride an Ibis ASAP? Feel free to contact us and speak to a Ibis cycles expert.